Directions for opening a combination lock. 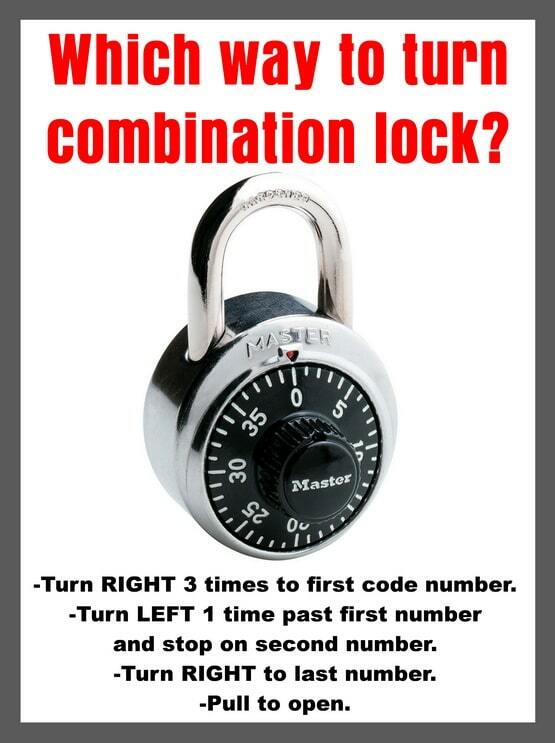 If you have a combination lock you need to know which way to turn it first and how many times each way to open it. You may have forgotten which way to turn a combination lock first. You may need to remember how to unlock a lock for a locker or how to turn the dial on a Master lock. 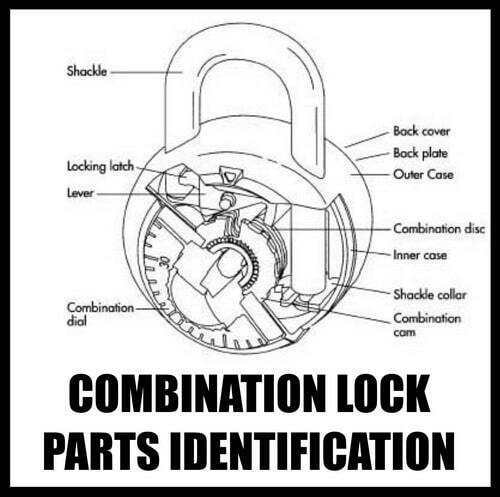 Below is the dialing sequence to open a standard combination lock. Which way to turn combination lock? – How to turn the dial on a master lock? 1 – Have the lock combination code. 2 – Turn the Dial 3 times RIGHT – Stop at the first number. 3 – Turn the Dial LEFT 1 complete turn and past the first number – Stop at the second number. 4 – Turn the Dial RIGHT – Stop at the third number. 5 – Pull on the lock to OPEN. Which way to turn a combination lock? A combination lock will have a 3 digit lock code. It should be on the back of the lock. Have the 3 number code or combination number memorized, write it down, or put it in your phone notes/memo. –Turn RIGHT 3 times to first code number. –Turn LEFT 1 time past first number and stop on second number. –Turn RIGHT to last number. “Set-Your-Own” Combination Locks Instructions FAQs – Step By Step Here for Master Locks. Next post: GE Dishwasher Flashing Lights And Beeping – How To Reset GE Dishwasher?